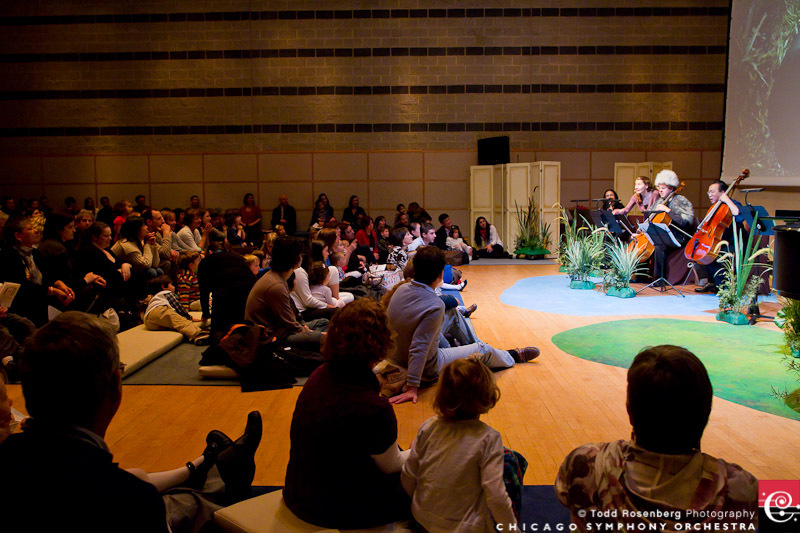 A Chicago Symphony Orchestra performance is a must-do experience when visiting Chicago. Now you can attend a special performance at the grand Orchestra Hall with your kids: the Once Upon a Symphony series is the perfect opportunity to enjoy the world of classical music with your child. Designed for children as young as age 3, the series features a small group of CSO musicians and a master storyteller. Together, they will create an interactive experience with the aim of introducing young children to the world of music. Kids are invited to sing, dance, and play while following along with the story of Jack and the Beanstalk. I believe it’s never to early to introduce children to the fine arts, and starting out with family-friendly shows is the way to go. You won’t feel out-of-place if a sudden tantrum ensues, and if your child laughs or cries out loud, he’ll be in good company. Before each concert, you’ll receive a guide that will help you best prepare your child for his concert experience. You’ll also receive a post-concert activity sheet with ideas for expanding learning at home. By introducing your children to the arts in a supported environment, you are giving them the chance to form an appreciation of the arts that is their very own. Founded in 1891, the Symphony makes its home at Orchestra Hall, a magnificent performance space designed by renowned Chicago architect Daniel Burnham. This is a fun opportunity to head out on the town in a fancy dress or a first bow tie. This entry was posted in Family, Music and tagged chicago symphony orchestra. Bookmark the permalink.